Last entry is 1 hour before stated closing time. Turn right onto Manchester Road – A641. Turn left onto the A647 then immediately right (signposted Keighley, Skipton, Leeds) straight onto Croft Street and turn left onto Vicar Lane. 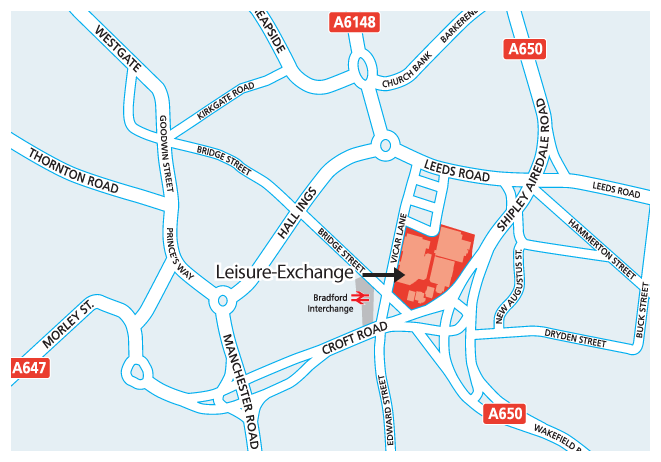 We are 5-minute walk from Bradford Interchange train station. 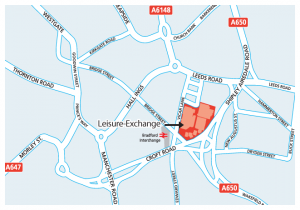 Head towards the Leisure Exchange, we are situated on Vicar Lane, underneath Cineworld. There are many local buses, with the nearest bus stop at Bradford Interchange. Visit the metrobus website to plan your journey.